Jordan Brand is ramping up their noteworthy releases for 2018. After the brand previewed their different Summer capsules last week, we now have an early look at the next premium silhouette. 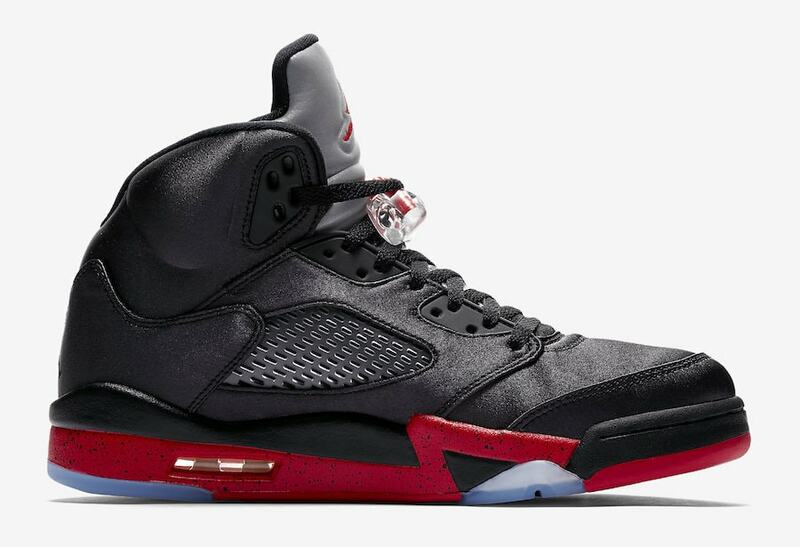 Check out the Air Jordan 5 Satin coming in November. The Air Jordan 5 is not always listed as one of the brand’s hallmark silhouettes. 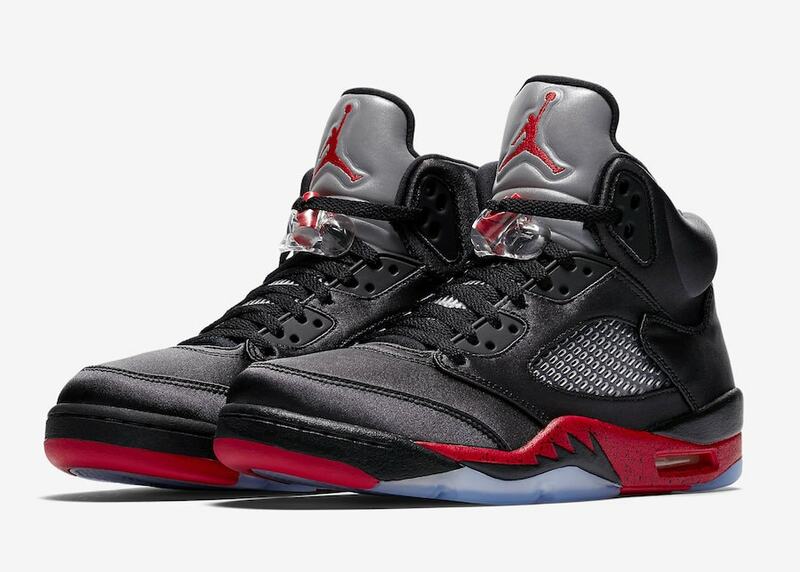 However, it does have an extensive and storied history on the feet of Michael Jordan himself, which has led it to become a premier model from the brand. This year, JB has plans to release just a couple colorways of the Jordan 5, keeping with their limited release schedule. The first pair leaked several months ago, originally thought to be a Knicks shoe. 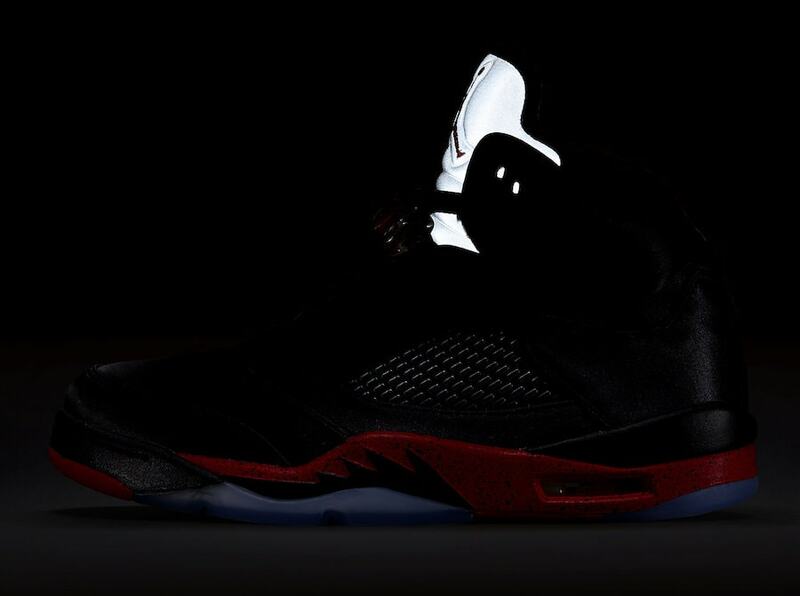 Now, a premium new Air Jordan 5 has surfaced online with a release slated for later this year. 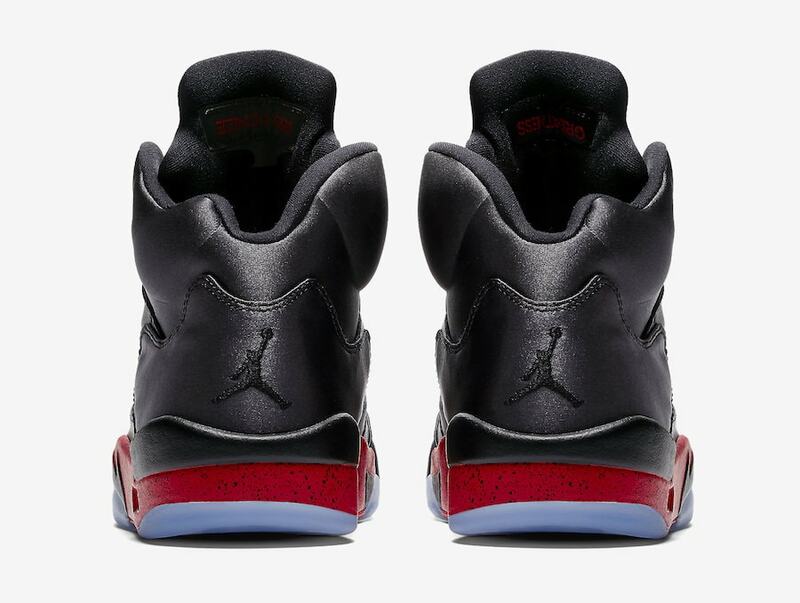 The Air Jordan 5 is going satin. The last year has held several of these premium satin releases from Jordan, though previously they exclusively used the 1 as a canvas. Now, the brand is expanding this line of ultra-luxurious Jordans to include the 5th model. The new colorway begins with flat black satin upper, though the simple tone reflects some light due to the materials. 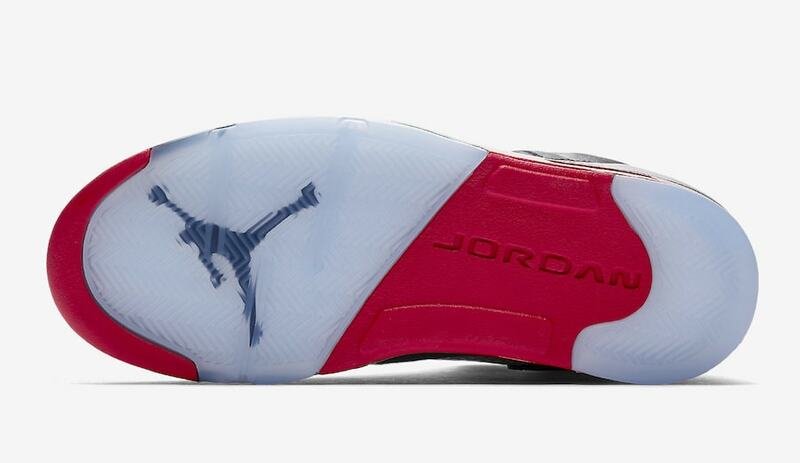 Next, the midsole comes in a University Red tone, completed by a translucent outsole. 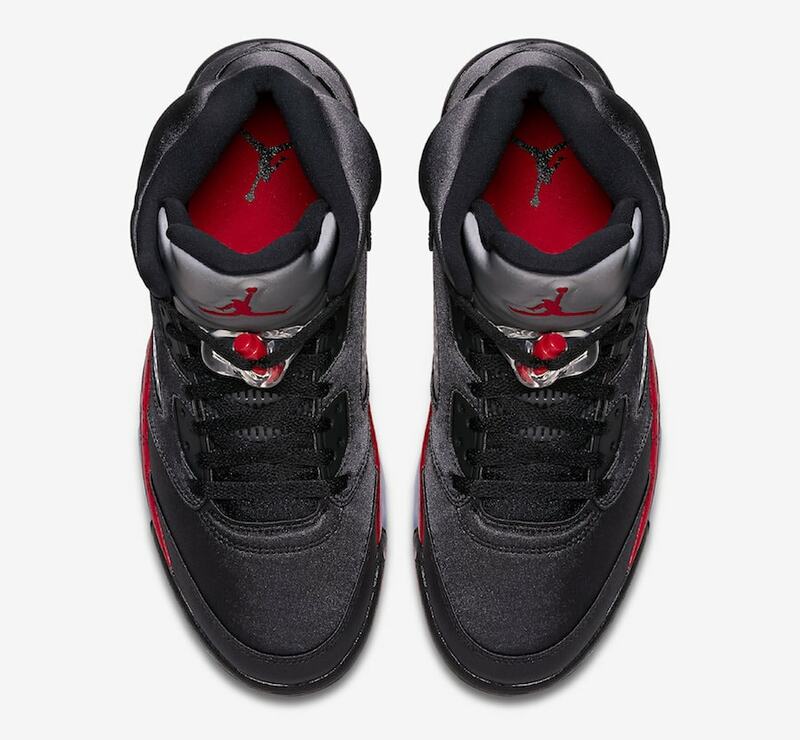 The color scheme is very similar to the original “Metallic” Jordan 5’s, though this satin rendition makes some small adjustments to the design. Originally, this release was scheduled for this week. According to SoleSavy on Twitter, the Air Jordan 5 Satin was set to launch on July 14th, before being moved to November seemingly randomly. This explains the availability of official images months in advance, as well as the matching apparel that launched early. The next addition to the Air Jordan “Satin” lineup has been pushed forward to release on November 3rd, 2018. 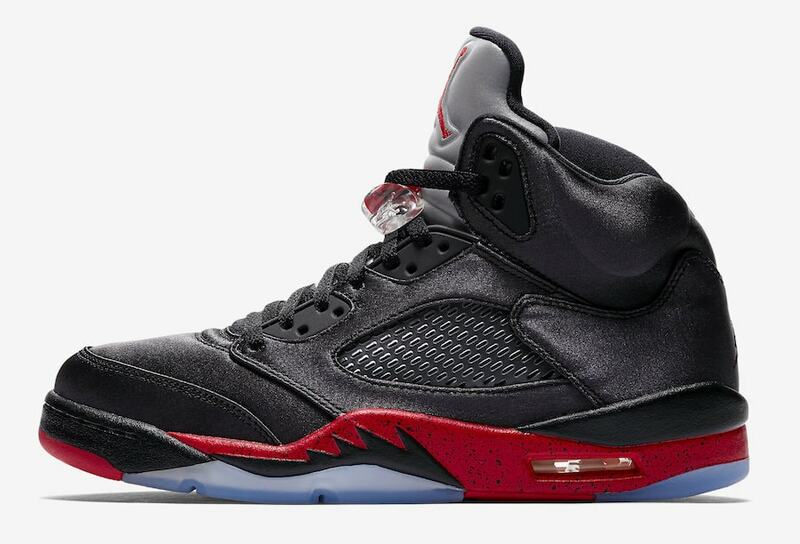 The smooth Bred colorway of the Jordan 5 will retail for $190, which is a considerable steal given the use of satin. Check out the official images below for a better look at the updated silhouette, and stay tuned to JustFreshKicks for more Air Jordan release news.